We took an indirect route to Crewe Station this morning via Dagfields Antique Centre and the town centre. 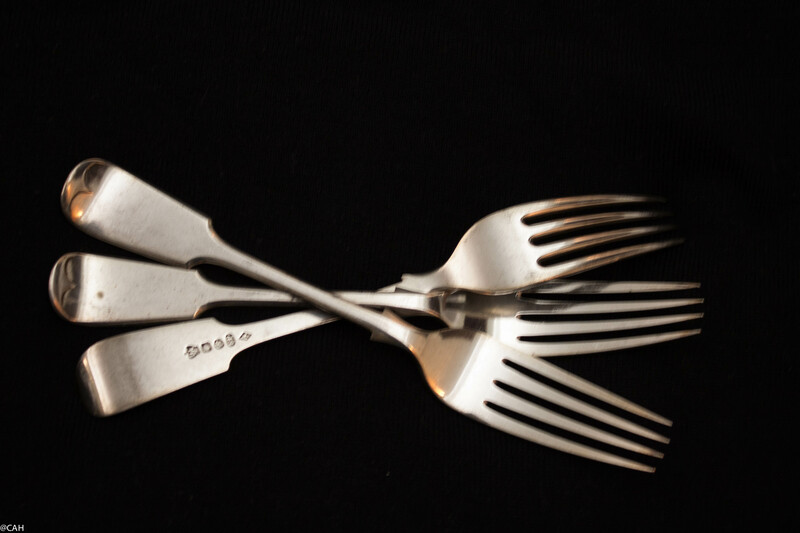 At Dagfields I found some silver dinner forks for the dining room (my cutlery is a motley collection accumulated from various places) but unusually for me, did not find anything that grabbed me in the secondhand bookshop. In town, I did find a pair of shoes and then had a break in the station lounge reading some of the magazines there. I am a fan of periodicals and lament the loss of Borders who used to have an extensive selection. I enjoyed Wallpaper and Intelligent Life before the train arrived. The journey was unremarkable save something I noticed south of Stafford. Several large fields with metal hoops that would support horticultural fleece to protect whatever the crop was. I wondered what they did with the fleece at the end of summer (I reuse mine, have even been known to wash it for reuse and burn it when it is unusable) and hope it does not add to landfill. Near the farm there were several static caravans, presumably for the workforce, whoever they might be. Nearer to our destination I enjoyed the graffiti on some trucks in the sidings at Willesden. Once we had checked into our hotel, we headed for one of my regular bookshop haunts in Bloomsbury, Skoob Books, before meeting a friend for dinner. 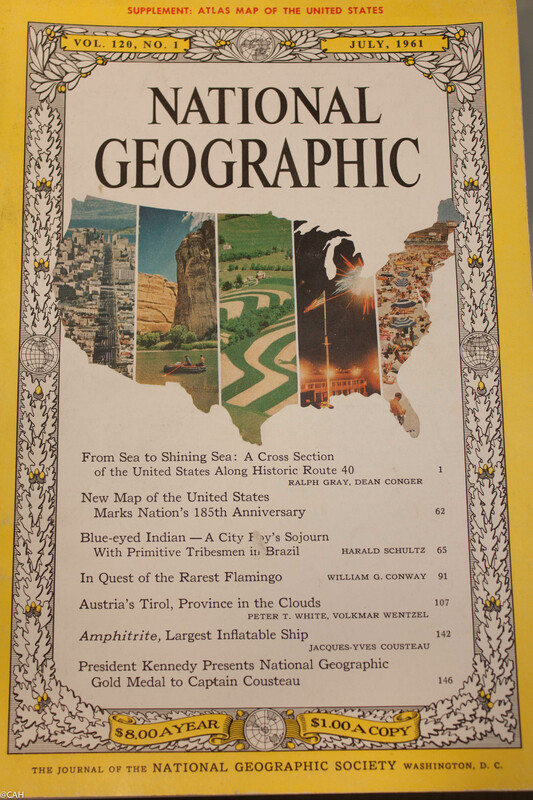 No books grabbed me on this occasion but I did add two volumes to my National Geographic collection. Some of this I have inherited and it spans 1948 to the present day with several gaps. Today’s find was one volume from 1957 and one from 1961 which describes a US coast to coast trip on Route 40. Having driven Route 66 in 2013, we are planning a coast to coast trip on the Lincoln Highway which follows Route 30 for much of the way, in 2016. We might be able to help you filling the gaps. Email us with details (see contact page). You are Welcome!